LOS ANGELES (AP) — Sports and gambling have been inextricably linked for Sal Iacono ever since he was a 6-year-old trying to win baseball cards off his fellow kids in the schoolyard. As he grew up, went to law school and eventually became a television personality, Iacono’s passion for betting and fantasy sports grew to the point where he regretted picking the Dallas Cowboys as his favorite football team because his affection messed with his gaming decisions. Iacono realizes millions of sports fans can relate to his happy affliction. As a panelist on Fox Sports 1’s new “Lock It In” sports gambling show, he’s combining his passions while riding the crest of a major wave of upcoming U.S. television content looking to capitalize on the gradual legalization of sports betting after the Supreme Court’s landmark decision in May. “I can’t believe it’s taken this long, I really can’t,” said Iacono, better known as Cousin Sal in his many media ventures with and without his real cousin, Jimmy Kimmel. As legalized sports gambling rolls out across the nation, the people who make sports television are eager to help with a series of shows explicitly about a pursuit that has long been a major — but usually unstated — reason to watch sports TV in the first place. “Lock It In,” which began airing Monday with host Rachel Bonnetta, is the biggest venture yet in what everyone expects to be an upcoming surge of shows focused on pointspreads, odds and helping viewers to make better bets. Like most sports TV executives, Charlie Dixon had been waiting for the chance to fill this clear need for some of sports’ biggest fans. Fox Sports 1’s executive vice president of content has been fielding pitches for gambling-oriented shows for more than three years, but waited to jump in until the ban was lifted. A vast ecosystem of gambling information and programming already exists online and around the world to serve this multibillion-dollar industry. But newer, bigger content is making its way onto just about every U.S. television or streaming device. The ESPN Plus streaming service started airing “I’ll Take That Bet,” produced by sports gambling company The Action Network, two weeks after the Supreme Court struck down the sports betting ban. 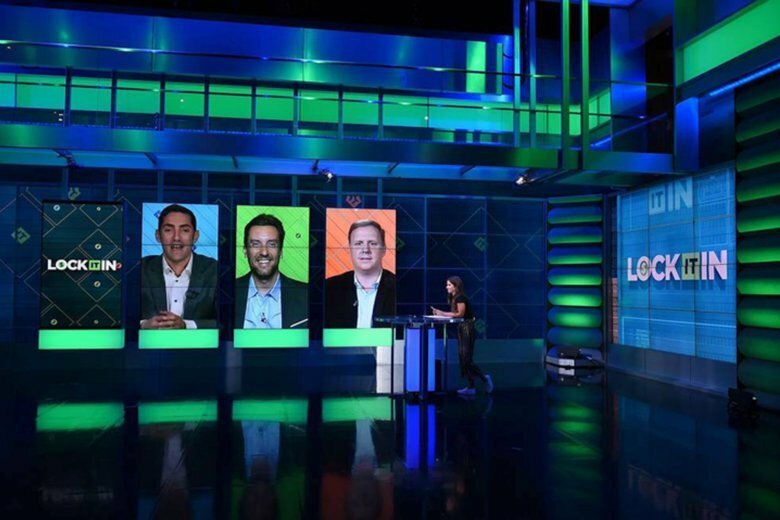 CBS Sports’ streaming service, CBS Sports HQ, debuted “Sportsline Edge” last week, while NBC Sports Network is among several national platforms reportedly considering the addition of a betting show to their lineups. “Lock It In” wants to capture the attention of bettors by getting in early — and on the vast platform of Fox Sports 1’s 83.3 million homes. Five years after its creation, the channel is up to 11 hours of daily live programming with an emphasis on sports talk and opinion, and its first gambling show complements the vibe of its other programming. Bonnetta, who gleefully described her three panelists as gambling “degenerates” during the debut episode, hosts the show in Los Angeles. While “Lock It In” intersperses its betting analysis with interviews, it’s also a trash-talking game show of sorts, built around a segment in which the three panelists use virtual money to make daily “bets,” leading to the crowning of a weekly champion. Shows like “Lock It In” are just one phase in betting’s impact on the sports television industry, Dixon said. He expects talk about betting to become even more prominent throughout every form of sports programming, although he doesn’t expect it to become an annoyance for fans who aren’t interested in gambling.